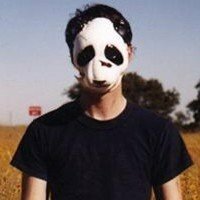 Noah Benjamin Lennox - best known by his stage name Panda Bear - is an American singer-songwriter and musician hailing from Baltimore, Maryland. Born in 1978, he creates a psychedelic and experimental style of pop and dance music, mixed in with blends of folk and ambient. Panda Bear will be performing 1 event in Madrid on Thursday 25th April 2019 at the Conde Duque. Scroll down to see all ticket options and prices. If you'd like to see a list of Panda Bear events, please CLICK HERE. We display the most accurate ticket prices available to us, but Panda Bear ticket prices can change based on demand & availability. Stereoboard takes no responsibility for any difference in prices, or accuracy, displayed here and those on external sites. Our listings are purely for information purposes only and we are unable to verify any accuracy.